Cinemagic, supported by Film Hub NI, part of the British Film Institute’s Film Audience Network, is looking for 15-25 year olds to participate in a new initiative where participants will work with the Cinemagic Festival team in partnership with film exhibition partners including Queen’s Film Theatre and Foyle Film Festival and Nerve Centre to develop young people’s skills in programming films and celebrating cultural and specialised cinema. The group of young programmers will work with past Cinemagic young consultants and Cinemagic Festival jury members and spend three days this month (18th, 20th, 21st) participating in workshops and discussion and watching and reviewing films from around the world. The Young Programmers at Cinemagic will meet on Monday 18th, Wednesday 20th and Thursday 21st February in Belfast from 10.30am-3.30pm and must be available for each day of the project. To register interest in participating please email claire@cinemagic.org.uk to request a registration form. 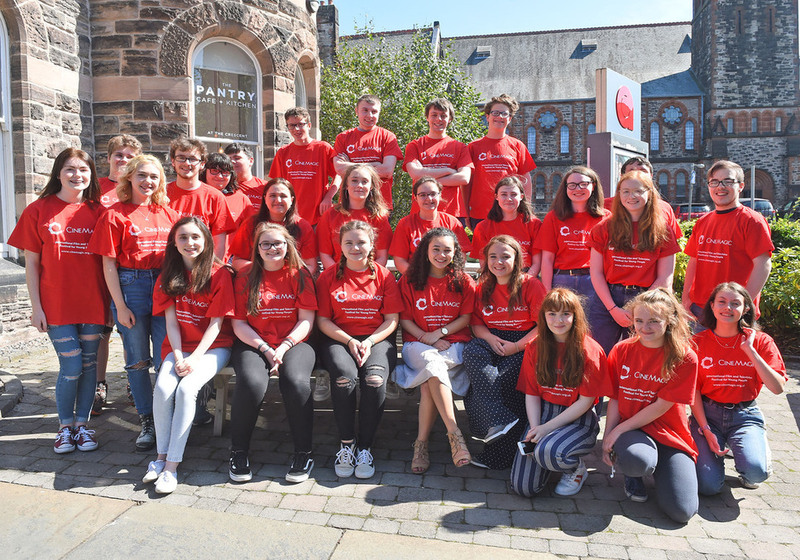 Participants will also be offered the opportunity to input to the planning and programming at QFT, Foyle Film Festival and Nerve Centre and the 30th Cinemagic Festival in Belfast which takes place in October 2019, at which the young people’s achievements will be showcased and celebrated.